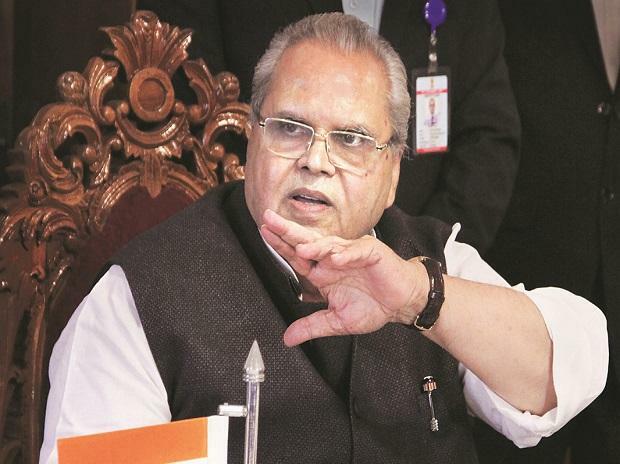 Jammu and Kashmir Governor Satya Pal Malik Sunday appealed to the people to remain calm and not to believe in rumours of any extreme nature which are circulating widely in some quarters. Malik said the rumours are unnecessarily creating an atmosphere of fear in the minds of people, leading to stress and disruption to normal life. "Rumours about curfews and other actions should not be believed. There is some security related action being taken by the forces, but this is purely related to the Pulwama attack which is unprecedented one," he said. "The response of security forces is guided solely by the need to counter both the impact and any further action that may be taken by terrorist groups who are still out to disrupt our country and its democratic processes," the governor said while chairing an informal meeting of the State Administrative Council (SAC) here. The governor convened the meeting here to review the current situation in the state, particularly in the context of the terror attack in Pulwama on February 14 and the subsequent developments, an official spokesman said. In the meeting, Malik was briefed about the current security situation in Jammu city after the lifting of the curfew a few days ago and also the restoration of normalcy in the place. He was also informed about the situation in the Kashmir Valley and the gradual induction of additional central forces for election purposes, the spokesman said. "Over 400 additional companies of central police forces were provided to conduct the Urban Local Body and Panchayat elections over a total of 13 phases. In the presence of these forces and as a result of their efforts, the elections were conducted peacefully, without any incident," the spokesman said. After the Pulwama incident, the spokesman said security concerns in this regard are much higher with the possibility of terrorist organisations increasing their activities against candidates and voters on a much larger scale. "Normally, forces are inducted a month before elections so that they settle down and familiarise with the ground situation. It is in this context that 100 companies of central forces are being inducted into the state at the moment. This is less than the actual additional forces required and more would be inducted in the coming weeks," he said. The governor appealed to the people that the induction of forces be seen only in the context of conducting elections and should not be attributed to any other cause. The spokesman said the SAC was also informed that the supply situation of petroleum and other products in the Kashmir Valley is critically low. "The availability of petrol in the Kashmir Valley is adequate to meet the needs for just one day and that of diesel for four days. There is no stock of LPG in the Kashmir Valley. This is a result of the earlier blockage of the national highway for seven days and the ongoing blockage for the past four days, leading to disruption of supplies from Jammu to Srinagar," he said. The spokesman said the government is taking measures to enhance the supplies to the Kashmir region. However, as a precautionary measure, the Kashmir divisional commissioner has rationed petrol and diesel supply to conserve whatever is available for emergency purposes. "Steps are being taken to increase the availability of stocks in the Kashmir Valley. People of the state should not read anything more into this but see it only as an administrative measure in a shortage situation," the spokesman said. "On the medicine front also, the instructions to hospitals to increase availability of medicines is also to be seen in the context of shortage of supplies as a result of the prolonged disruption in transport," he said. On the issue of safety and security of Kashmiris residing outside the state, the governor said Prime Minister Narendra Modi on Saturday clearly denounced the attacks. "The prime minister's statement that there is no fight against Kashmiris but that it is a fight for Kashmir is a clear signal that the people of Jammu and Kashmir are not only the integral part of India but it is the responsibility of the country to take care of their safety wherever they may be," he said. The governor thanked the excellent cooperation rendered by the administration and police of other states for taking steps and going out of the way to provide security to students who were afraid of any untoward incident. He also complimented the work done by liaison officers in handling the worries of students round-the-clock.